Sydney Theatre Company and Commonwealth Bank present ROSENCRANTZ AND GUILDENSTERN ARE DEAD by Tom Stoppard at the Sydney Theatre, Hickson Rd. ROSENCRANTZ AND GUILDENSTERN ARE DEAD is one of those famous plays by a now famous writer, Tom Stoppard, that every young, university actor wants to be in, or do a scene from. In the early nineteen sixties, having the idea that the King of England to whom Rosencrantz and Guildenstern, in Shakespeare's HAMLET, were dispatched, was probably King Lear, Tom Stoppard wrote, whilst working in West Berlin, with several other writers on a Ford Foundation Award (as "cultural window dressing" for the allies!) a one-act comedy in verse called tentatively, ROSENCRANTZ AND GUILDENSTERN MEET KING LEAR. A seed had been planted. He, on his return to Westminster, transmuted his play from verse to prose. Early in 1965 it was sent to the Royal Shakespeare Company, where, subsequently, a twelve-month option expired, after it failed to find a place in their repertoire. It was sent to several other managements and was rejected by all (including the Royal Court). Then in the summer of 1966 a university group, the Oxford Theatre Group asked permission to present the play in an amateur production at the Fringe of the forthcoming Edinburgh Festival. It was granted. The opening night got a handful of bad notices except for one in the influential THE OBSERVER, by Ronald Bryden, describing it as an 'erudite comedy, punning, far-fetched, leaping from depth to dizziness' and further, 'it's the most brilliant debut from a young playwright since John Arden's.' Kenneth Tynan, the literary manager of the newish National Theatre, on the look out for a new English play - a new work - to counterbalance the criticism that the National Theatre company had a perceived penchant for the classics - under the direction of Laurence Olivier - requested a script, optioned it, and had it opening at the Old Vic in April 1967. The rest is history. Stoppard was hailed with bouquets and the play was, according to Harold Hobson in the Sunday Times: 'the most important event in the British professional theatre of the last nine years'; that is, since the opening of Harold Pinter's THE BIRTHDAY PARTY. What was at work here with this play: chance or fate? Reading this story, one is agog with hope - hope, hope, hope - that the up-coming Sydney Fringe Festival in 2013, might throw up a play to match the debut of ROSENCRATZ AND GUILDENSTERN ARE DEAD at the Fringe Festival in Edinburgh in 1966. Eh? And, that the Sydney Theatre Company (STC) is alert enough to hear of that new Australian work, and grab it for production, for our contemporary repertoire! Hope, hope, hope - considering our recent history, a hope too far?- most likely. Too, perhaps, one can now understand the under-graduate actor/student attraction to the play, considering the above, potted history! Sydney University Dramatic Society (SUDS), on the lookout for new work as well?! As a matter of fact, the stars of this STC production, Toby Schmitz and Tim Minchin, met in a university production of this very play in Perth, years ago - Mr Schmitz as Hamlet, and Mr Minchin as The Player. I saw the play for the first time at the Old Tote Theatre Company at the old Parade Theatre in 1969. It was directed by Robin Lovejoy and starred Neil Fitzpatrick as Rosencrantz (he had, incidentally, played one of the Tragedians in the original National Theatre production in London), Tim Elliott as Guildenstern and the 'delicious' Barry Lovett as The Player. (I can remember going down to the edge of the stage, after the performance, and touching it with my hand, and looking up at the then empty barrels, stage-wise, and vowing to be on that stage one day, too! I was! Fate or chance?! Spooky!) One, has, of course, seen many productions of this play - it nearly always works as entertainment, if not always more deeply. Rosencratz and Guildenstern, two attendant lords to the Danish court of Claudius and Gertrude, friends to the Prince of Denmark, Hamlet, find themselves at the centre of a world - a waiting space, seemingly in between worlds. Never have they had such attention paid to themselves, for up until Mr Stoppard decided to attend to them, they were merely periphery characters in one of the great plays of the English speaking world's canon, HAMLET. Like the maids in the recent Genet play, THE MAIDS, these two men (butlers) are suddenly the centre of concern for the audience, and they find they are caught in the vortex of greater shapers of the world's events, and are forced to confront the meaning of life and their role in it. An existential dilemma for these every-men, mulling over the immediate problems of living and the ultimate problem of dying - of the "now you see me, now you don't", kind. ROSENCRATZ AND GUILDENSTERN ARE DEAD is a play playing with language, full of the most outrageous comedy and 'hundreds' of jokes. Jokes of a very sophisticated kind, as well as jokes of a very juvenile kind. The dazzling wordy pyrotechnics of the Stoppardian stamp we have all, over the years, come to know and expect, gleam with all of their humour and 'menace' to amuse us and warn us that the surreal absurdity of life is just part of the great pattern of the sheer randomness of the world. (pattern of randomness, huh?). Add the juggling and quoting from Shakespeare's great play, HAMLET, and throw the wisdom and pall of the metaphysics of life, through debate, discussion of the movement of chance or of fate in our lives as we live out our days, into the mixture, and a most satisfying night in the theatre can be made for you. The play is a juvenile celebration of wit and philosophy, written by a clever 27 year old - it presages the future, which for us, and Mr Stoppard, now is history - for, for my money, greater more 'human' (not just word-smithed) plays are to follow from Mr Stoppard, though, thankfully, still glittering with the R. and G. intelligence and wit. 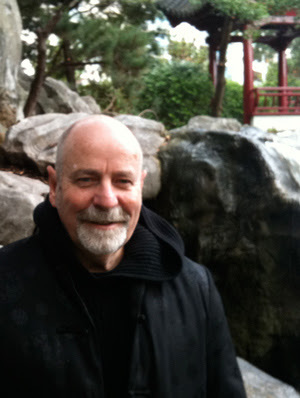 Simon Phillips, the Director, has created a work of some real clarity and ease. The production resonates with confidence - one feels in safe hands from the very first moment - not always a usual feeling, alas, of late. A perspective Set Design by Gabriela Tylesova of a v-shaped raked wooden floor, surrounded, on either side by three grey-black gloss portals/tubes, that allow entry and exit for all but our two heroes, even to hanging above all, centrally in the roof, a homage to WAITING FOR GODOT, with an upside down leafless tree, that doubles, later on as a chandelier-like light fitting, allows the action of the worlds of the play to flow seamlessly. The cartoony exaggerations of the costumes of the Danish court contrast and diminish through the visualisations of the tragedians, the hurly burly of the Pirates, down to the relative reality of the Rosencrantz and Guildenstern 'uniforms' of pragmatic attendant lords. Lighting by Nick Schlieper enhances and demarcates the atmospheres of the play. This is a stellar cast: Toby Schmitz, clearly performing in a world he loves, is technically dazzling with the language and thoughts of Mr Stoppard (the man he confessed he wants to - is it metaphorically?- sleep with) as Guildenstern, if just slightly 'pushing' his effects early in the evening, such, that the relative laid-backedness of Tim Minchin's Rosencrantz, sometimes, is an easier entry of relief for the audience and, maybe, at least on the night that I saw the production, steals the lime light, a little (Mr Schmitz working too hard?!). However, these two actors, being two search lights/laser lights of talent, the lime lightedeness, thus, is, truthfully, subtly relative. I, personally, found the relative intellectual 'dimness' of Rosencrantz became gently empathetic, and by the time we got to the "life-in-a-box" sequence of speeches, towards the end of the play, our hearts (mine) had been stolen. Ewen Leslie as The Player, is unrecognisable in appearance and intelligently 'bombasts' his way through, and as, the third wheel to the philosophical debates of the play. John Gaden, Heather Mitchell, Christopher Stollery, Adele Querol and Tim Walter pastiche the Shakespearean world of the play with aplomb and knife edge audacity. Whilst the glorious oddness of the tragedians: George Kemp, Angus King, Nicholas Papademetriou, Berynn Schwerdt, Aaron Tsindos bring a low comedy world to life. I am a big fan of Stoppard. EVERY GOOD BOY DESERVES FAVOUR at the National Theatre in London, a few years back: epic greatness. And I agree with Mr Phillips in his estimation of the greatness of ARCADIA. And I desperately lament the fact that Sydney (is it Australia?) has still not had the opportunity to see and hear the other side-of-the-coin to that great work, THE INVENTION OF LOVE. I have been blessed with having seen a production of it - it is demanding and great. And, I have to confess, such is my adulation of all things Stoppard, that I flew to New York a few years ago to see the three play, nine hour THE COAST OF UTOPIA - magnificent. ROCK 'N' ROLL a Melbourne Theatre Company production was a treat not long ago, and his recent film adaptation of ANNA KARENINA, and the BBC television adaptation of the Ford Madox Ford books, PARADE'S END, worth seeing and owning too. Though, to be honest, one waits, longs for his next play! 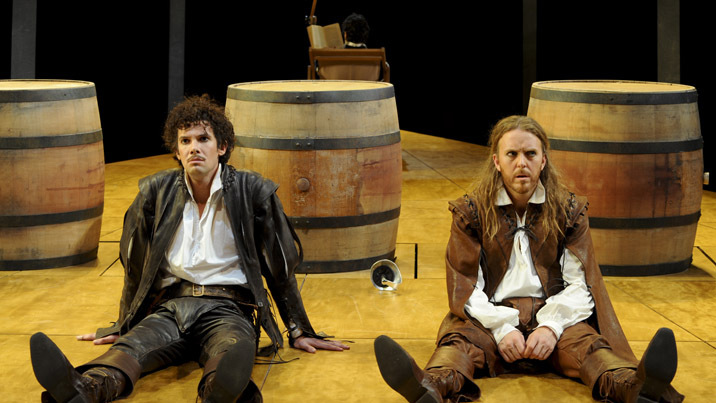 ROSENCRANTZ AND GUILDENSTERN ARE DEAD is worth catching despite its relative under-graduate tone, as a first play. One wishes for such brilliance in the Australian repertoire, and I wish that the STC would take on the later, greater works as well. Beggars can't be choosers, I guess. The Sydney Theatre Company are having a terrific year this year, and this is a production that is a must see. Go. Kenneth Tynan Profiles. Selected and Edited by Kathleen Tynan. Nick Hern Books, London - 1989. DOUBLE ACT. A Life of Tom Stoppard by Ira Nadell. Methuen - 2002. TALKING THEATRE. Interviews with Theatre People. Richard Eyre.NIck Hern Books - 2009.